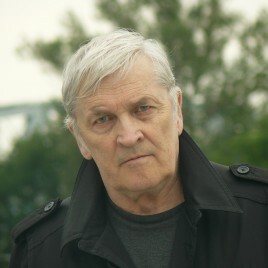 (born in 1945) – poet, prose writer, translator, literary critic and editor. He debuted in 1962 in the Kamena monthly and has since published over a dozen volumes of his poetry. For many years he has been associated with the Akcent quarterly, and since 2004 he has been working as the editor-in-chief of Twórczość. A few months ago, his latest volume of poetry, titled Po szkodzie was published. He has created numerous translations from the Hungariand and Ukrainian languages. He lives in Puławy. This year, he was awarded the Silesius Wrocław Poetry Award for his lifetime achievement.